The Cloak Tuck 3.5 IWB Holster vs. the ShapeShift 4.0 IWB Holster These two IWB holsters are the culmination of design changes since the first company IWB holster in 2010 in Arkansas. The changes over the years reflect growing investments in technology and innovation to improve the utility, compatibility and strength of this carry style. 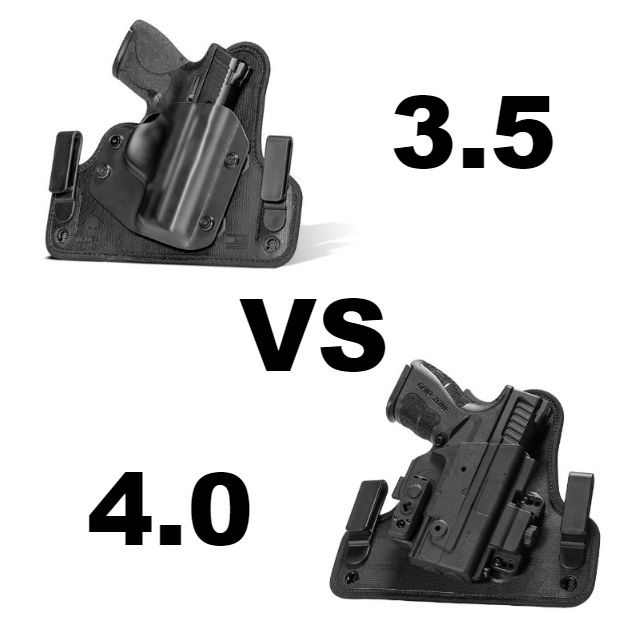 Specifically, the difference between the Cloak Tuck 3.5 IWB Holster and the ShapeShift 4.0 IWB Holster rests within the shell, and what that shell can and cannot do. Structural and functional characteristics will impact which Alien Gear IWB holster should be chosen.. I've really been considering getting a Crossbreed for my USP Compact but I am extremely interested in the 3.5 you guys have now. Thank you for putting out a competitive option.